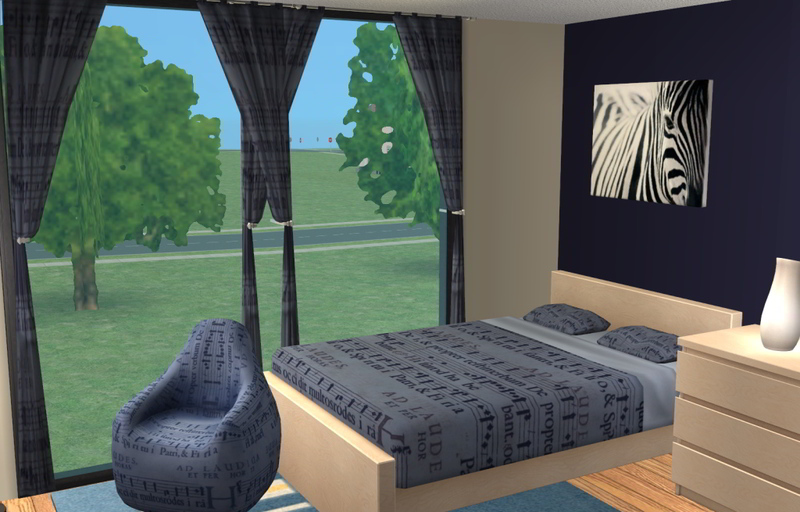 This set of bedding, bean bag and curtains would look good in a teen room or a music room (minus the bedding of course). 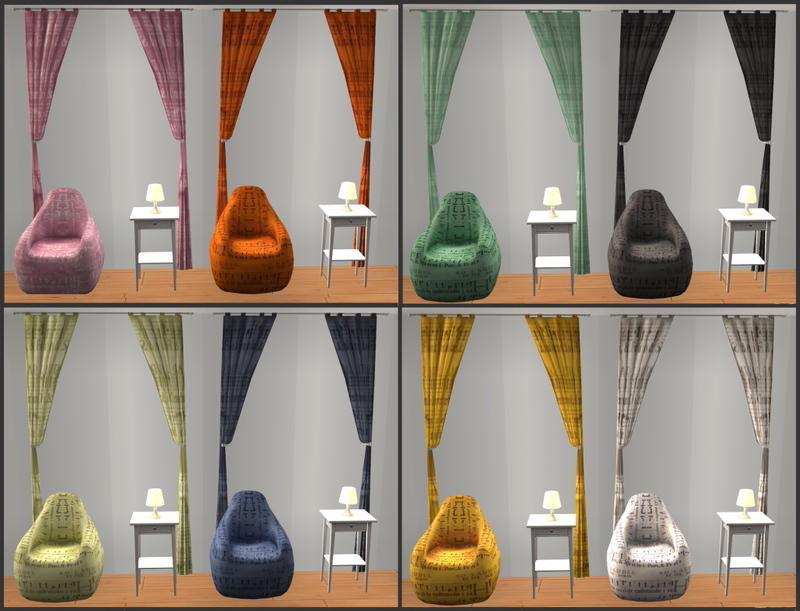 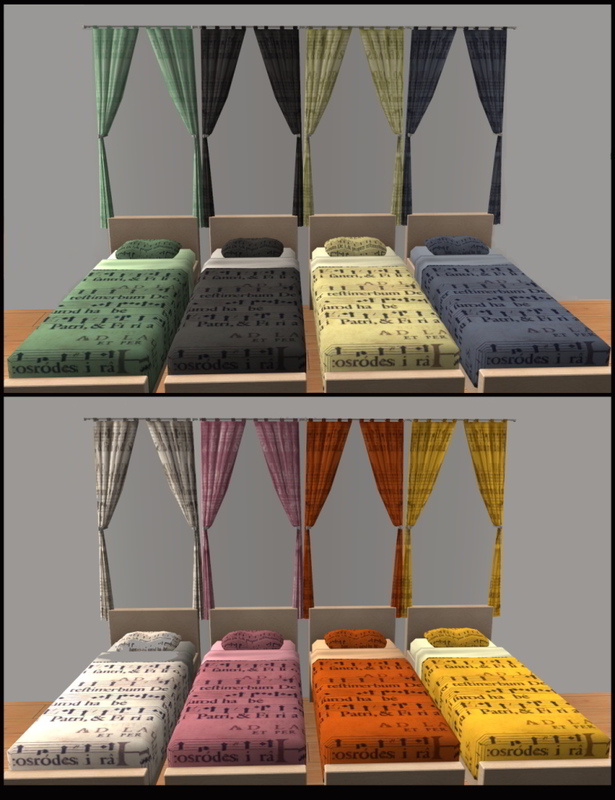 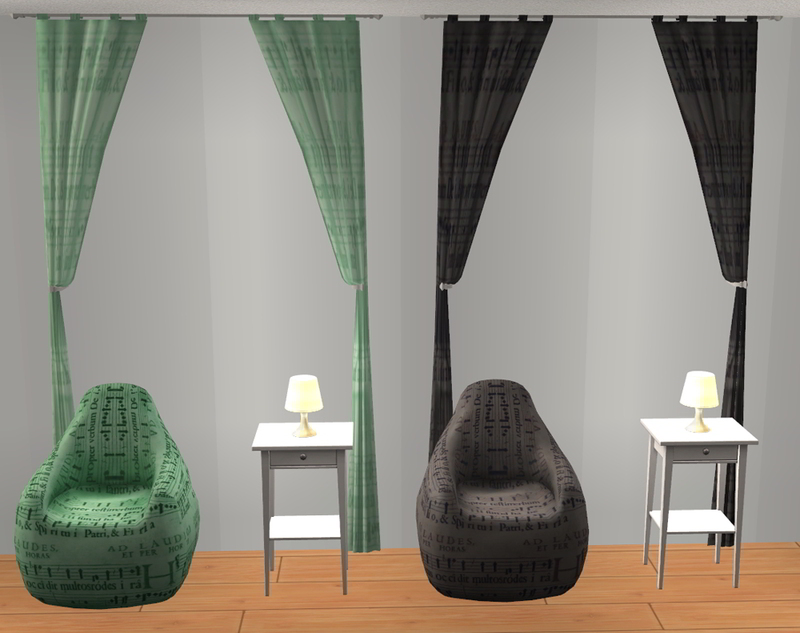 The Tushugger chair requires University, the curtains and bedding are base game. 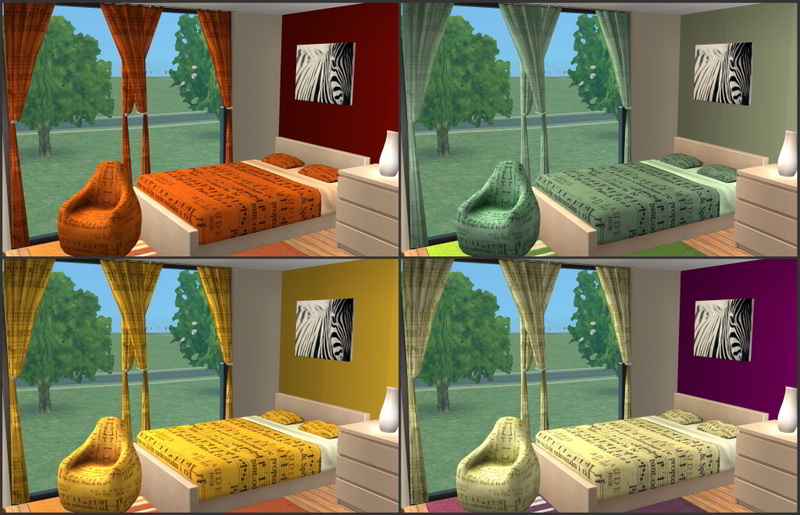 All CC shown in the images is made by me. 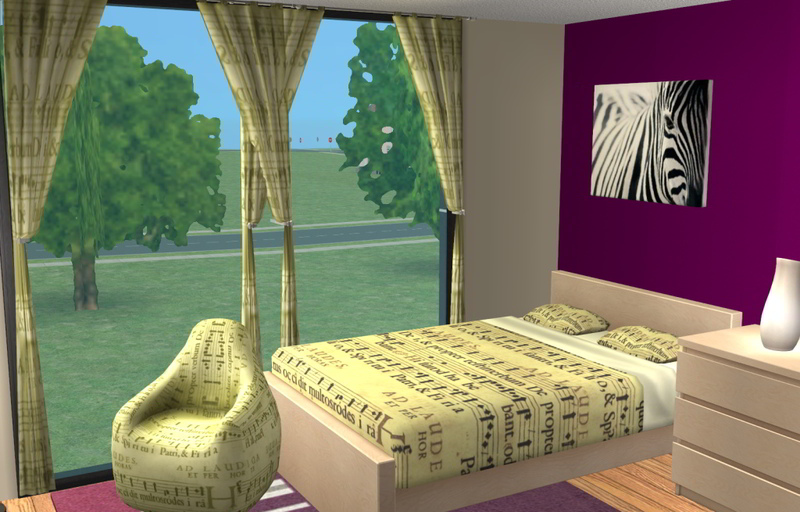 Ooh here they are Thank you!